The market launch of the 2019 Ford Ranger is coming soon, but in the meantime, we can already have a glance at the list of options and accessories available for the new pickup. Ford will be offering over 75 customization parts, including wind deflectors, fender flares, a massive bull bar and a set of 18-inch wheels with black finish. The truck bed can support a bike rack, as well as racks for mounting gear such as kayaks, snowboards and surfing boards. The catalogue also lists various tonneau covers, storage racks and boxes, and bedliners. Interior customization options boil down to all-weather floor mats, chrome-coated doorsills and assorted seat covers. 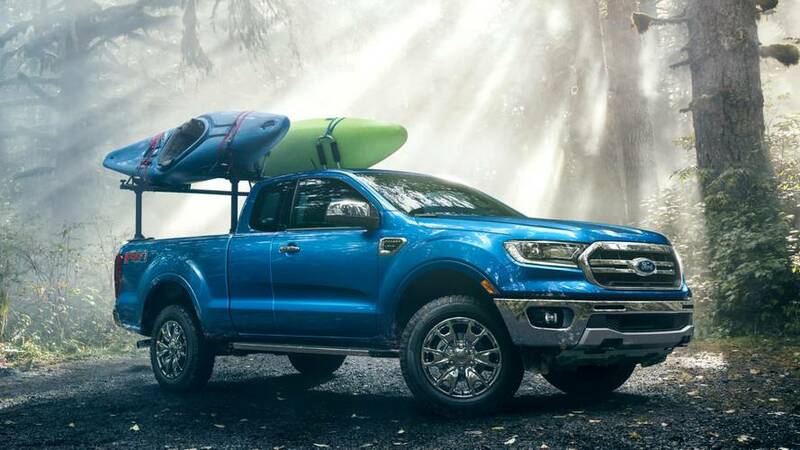 The standard 2019 Ford Ranger comes equipped with a 2.3-liter EcoBoost engine capable of 270 hp (201 kW) and 420 Nm (310 lb×ft) of torque, partnered with a ten-speed automatic transmission.